This summer families have the opportunity to meet characters from the popular children’s TV show, PAW Patrol at Paultons Park. 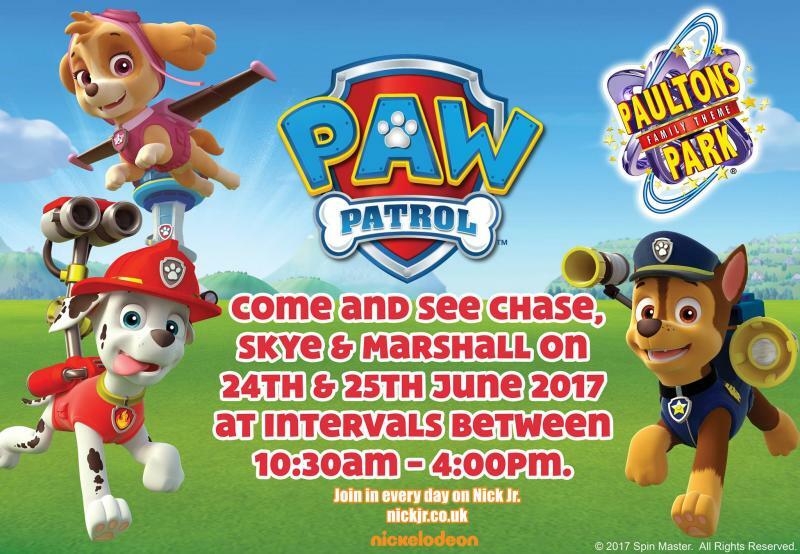 Police pup Chase, fearless Skye and firedog Marshall will be visiting the Hampshire-based theme park on Saturday 24 and Sunday 25 June. 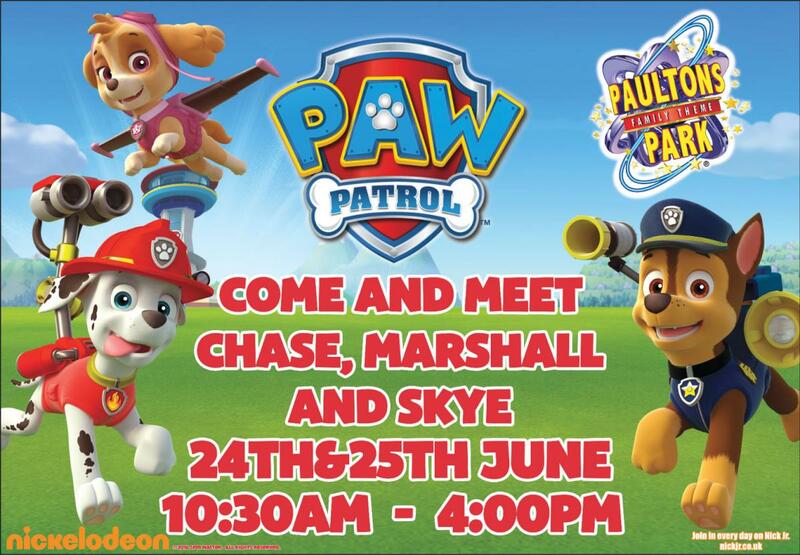 The three characters from PAW Patrol are taking a break from Adventure Bay and visiting the park from 10.30am to 4.00pm on both days, with Skye appearing at intervals throughout the day. Also new this summer, Paultons Park is hosting its own Summer Beach Party Show with new characters Bruce the lifeguard, Shelly the turtle and Manta the ray, and a brand new beach buggy. Children can experience plenty of singing, dancing and exciting games every day from Friday May 26. Visitors can check show times on arrival or on the Paultons Park app, where summer opening hours are also available. Find out more information about events and shows at Paultons Park on the website: https://paultonspark.co.uk/attractions/events-and-shows .